Livorno Port Center is an educational center with an interactive multimedia lab, a library and a vessel showroom. The Port Center explains how a port works, enabling city inhabitants to grasp and understand the socio-economic importance of port activity in their region. It presents a multi-sectorial, themed approach which takes into account the challenges facing the port-city, the context of globalisation, and the complexity of the links between different port activities. Livorno Port Center was opened officially on 3rd November 2015 and it has been open to the public since 1st March 2016. The educational-exhibition center is already hugely popular among citizens, especially among students of all ages in the Livorno area and beyond. 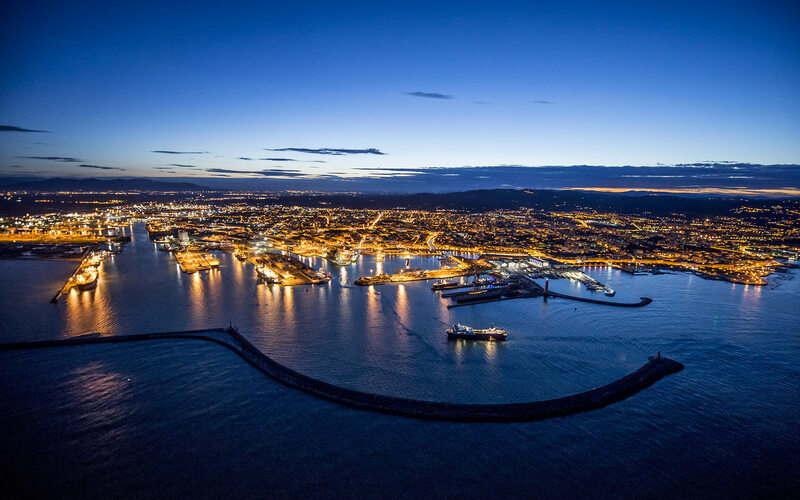 Livorno Port Center wants to open up the Port’s gates to the city and its surrounding area, to help them to learn about what goes on inside the Port. Livorno Port Center is located in the Captain’s Apartment Building, inside the Old Fortress of Livorno, near the Passengers Terminal. At the heart of one of the city’s most important monuments, the location was selected initially thanks to an agreement between the Chamber of Commerce, Industry and Craftsmanship, Livorno Port Authority and Livorno City Council. It was confirmed by the local town planning document, proposed by the City Council and Regional Government. Its location makes it an attractive destination for ferry and cruise passengers. Livorno Port Center has an educational mission. It is, first and foremost, a site for exchange and debate among students. Livorno Port Center receives daily school visits both in the exhibition centre and in the showroom of historical vessels. Throughout the year, it also hosts groups of secondary school students taking part in work experience programmes. They have the chance to learn in a working environment, participating both in lessons and in practical training. The Port Center is committed to supporting this educational programme, which will help students to gain valuable transferable skills for the job market. The Port Center was designed and created by an interdisciplinary group of staff from the Livorno Port Authority. It is managed by Directorate for Marking and the Research Office. It is designed to connect the professional requirements of the port with its logistics. In this context, in hosts university internships with students from various academic disciplines. The interactive multimedia lab allows us to explore and understand the main features of Livorno Port Center. It is a high-tech, multimedia educational-exhibition tool. It guides visitors, helping them to discover the port: its history and development, industrial activities linked to logistics, passenger flows, international exchanges, harbour professions, and the overall theme of integration between port and city. Livorno Port Center facilitates international networking activities as part of the European Port Center Network for cross-border cooperation involving the Ports of Rotterdam, Antwerp and Le Havre. The Missions charter of a Port Center, as defined by AIVP (Association internationale villes et ports) defines a framework of identified and shared missions. On this basis, every Port Center develops its activity programme according to the historical and socio-economic characteristics of the city. Since 2015, within the OPEN PORT project, Livorno Port Centerhas undertaken a range of cultural projects (in collaboration with the association Il Porto dei Piccoli ONLUS), seminars, conferences, technical meetings and other events designed to raise awareness about activities of the Port. Within the project Port Center, the Port Authority has developed, a detailed, educational museum itinerary, including the Historical Vessels Showroom, secondary branch of the Port Center, and the historical site of the Old Fortress. Since 2008, within the OPEN PORT initiative, the port of Livorno has revealed its secrets to the city: its previously inaccessible areas, its main characters, its management structures, but also its unique language and life styles, which are an integral part of the port and of the city itself. Promoted by the Port Authority, OPEN PORT intends to open the port to the city with the purpose of facilitating dialogue between the two sides of the medal, offering citizens and schools the opportunity to rediscover their harbour. Guided tours, literary contests, TV talk shows, cultural and entertainment events for citizens: OPEN PORT wants to entertain, intrigue, stimulate citizen and tourists, bringing them physically and mentally closer to the port. A small library is under construction at Livorno Port Center. It will bring together scientific and educational volumes about international and national harbours and navigation and about local history. It will make learning tools and specialised, multilingual dictionaries available to allow visitors to study these subjects in depth. Membership of the Metaopac initiative of the Livorno Province (currently under construction) will allow for on line catalogue consultation.